Dr. Anne Bo and colleagues conducted a study to examine the association between early onset of type 2 diabetes mellitus (DM) and clinical and behavioral risk factors for later complications of diabetes.The researchers found that CVD risk factors was highest in patients with early-onset diabetes (age 18 to 45) and decreased stepwise as the age of diabetes diagnosis increased. 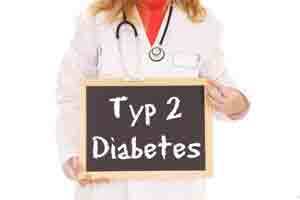 The study was published in Diabetes/Metabolism Research and Reviews. The researchers conducted a cross‐sectional study of 5115 persons with incident type 2 DM enrolled during 2010‐2015 in the Danish Centre for Strategic Research in Type 2 Diabetes‐cohort. They compared risk factors at time of diagnosis among those diagnosed at ≤45 years (earlyonset) with diagnosis age 46 to 55, 56 to 65 (average onset = reference), 66 to 75, and >75 years(late onset). Prevalence ratios (PRs) were computed by using Poisson regression.Results: Poor glucose control, ie, HbA1c ≥ 75 mmol/mol (≥9.0%) in the early‐, average‐, and late‐onset groups was observed in 12%, 7%, and 1%, respectively (PR 1.70 [95% confidence intervals (CI) 1.27, 2.28] and PR 0.17 [95% CI 0.06, 0.45]). A similar age gradient was observed for severe obesity (body mass index > 40 kg/m2: 19% vs. 8% vs. 2%; PR 2.41 [95% CI 1.83,3.18] and 0.21 (95% CI 0.08, 0.57]), dyslipidemia (90% vs. 79% vs. 68%; PR 1.14 [95% CI 1.10,1.19] and 0.86 [95% CI 0.79, 0.93]), and low‐grade inflammation (C‐reactive protein > 3.0 mg/L:53% vs. 38% vs. 26%; PR 1.41 [95% CI 1.12, 1.78] and 0.68 [95% CI 0.42, 1.11]). Daily smokingwas more frequent and meeting physical activity recommendations less likely in persons with bearly‐onset type 2 DM. The authors concluded that they found a clear age gradient, with increasing prevalence of clinical and behavioural risk factors the younger the onset age of type 2 DM.The study suggests that patients with early-onset diabetes had poorer glycemic control than other patients and were more prone to complications.Therefore younger persons with early‐onset type 2 DM need clinical awareness and support. This is true that cases of early onset of type 2 DM is increasing day by day and probable risk factors are- genetic factor like mother or father or both are suffering from DM2, life style, obesity, High BP, food habits etc. By changing life style the onset can be modified but not eliminated. There should be good repeated counselling & communication for both diet & drug.